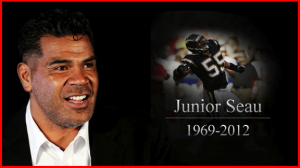 Concussions in Sports- Tragedy of Jr Seau’s Death. 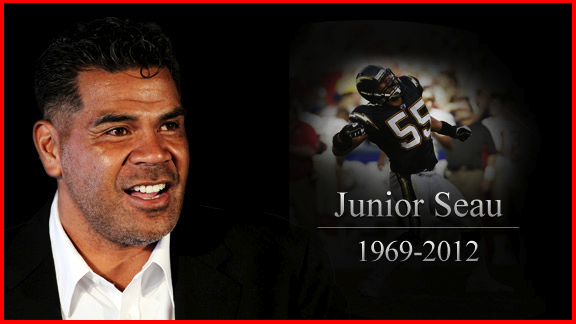 A few days ago Jr Seau, former NFL linebacker (19 years) shot himself in the chest and died. I rarely jump ahead of formal news reports, but the evidence is suggestive and because it is, awareness is important. 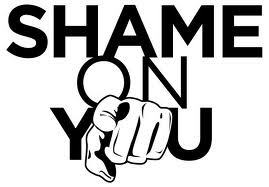 I have pulled some statements from football super agent Leigh Steinberg’s blog. You can read his full blog at How Many Deaths Will It Take? → I wanted to help players, coaches and parents understand that we are all part of the problem and the solution. Don’t get me wrong. As a sport psychology consultant, I’m a tough guy. I love contact sports. I love aggressive behavior for both males and females in sport, but I believe in teaching sportsmanship, good technique and common sense. I also believe that we need to be aware of the issue and our awareness will keep players safer. This is not about scare tactics. It’s about protecting are players and our sport. Leigh’s statements are in red. Normally, speculation as to causation would be premature, but these are not normal times. The specter of head injury and the disastrous lifetime ramifications call for emphatic action. There is a largely undiagnosed health epidemic which has surrounded contact sports at the youth sports, high school, collegiate and professional level and it is a ticking time bomb. What are the long-term ramifications? How many head injuries are too many? How long should a player sit out after suffering the hit? The players themselves were in a state of denial concerning physical health. They had been taught since Pop Warner to ignore pain — hide injury so as to not lose their starting position or jeopardize their status on the team. They didn’t want to be known as “training room” players and be stigmatized and isolated from their peers. Panicking or Choking in Sports- Do You recognize the Difference? In working with athletes on emotional control especially as it concerns emotional intelligence I frequently need to help athletes cope with situations in which they say they choked. This then is about Panicking or Choking in Sports. I read this a few years ago when it first came out. The author is Malcolm Gladwell and it is available thru Amazon.com He has a chapter in it called “The Art of Failure”. 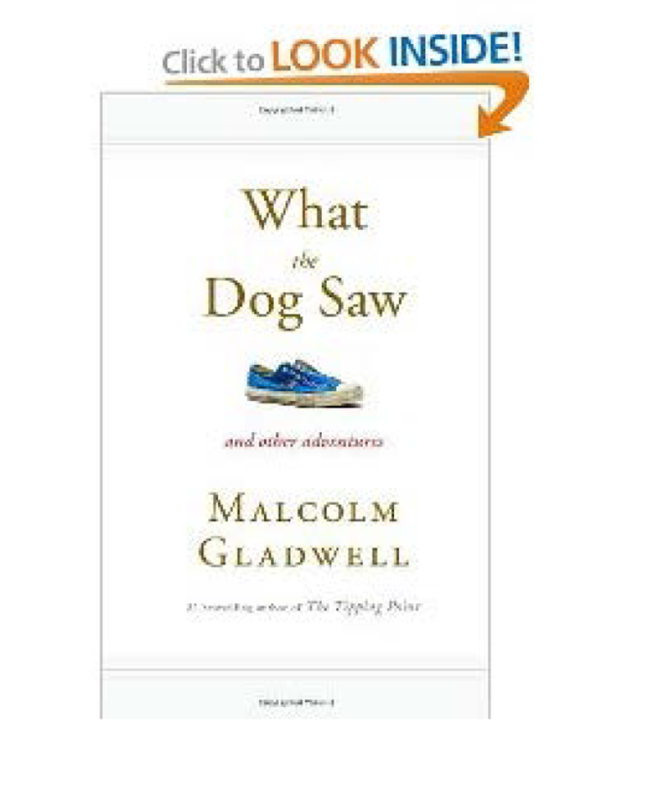 Gladwell does a great job in describing the differences between the two by describing behavior, brain processes, and psychological studies related to choking and panicking. Let’s look at choking first. When an athlete starts to focus on the future outcome and has negative thoughts as in what will people say if I miss the shot or if I don’t skate well tonight Coach Jones isn’t going to offer me a scholarship. The thoughts are plentiful and cause an athlete to be tight and not play to their ability. When I teach relaxation training one of the muscle groups I focus on revolve around the neck and jaw because these muscles tighten under pressure hence the name Choking. Teaching athletes to be aware of tightening of these muscles can allow them early recognition that they need to refocus. The thought of the possibility of choking during competition ruins many players ability to enjoy their sport. 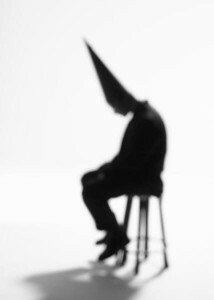 It often is a more destructive thought than actual concerns about team or even their own success. 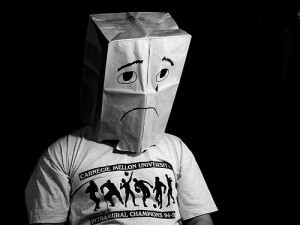 The shame and embarrassment of having choked the game away can be very debilitating. The answer is understanding how important our self talk is in shaping our behavior. What we say to ourselves really does matter. Using emotional control in stressful situations will help a player tremendously. It is a skill that can be learned and is part of understanding emotional intelligence. Panic is a bit different. It is the abandonment of everything an athlete has trained to do and relies on instinct. This is our old limbic system at work, or the flight / fight response so often seen in sports. An athlete seemingly just loses (some would say their minds) control and panic sets in. Often time I have seen athletes break down completely. All of their strategy or tactics goes out the window. Dependent on their skill level they can sometimes play ok, but their focus is gone and they often react contrary to game plans. 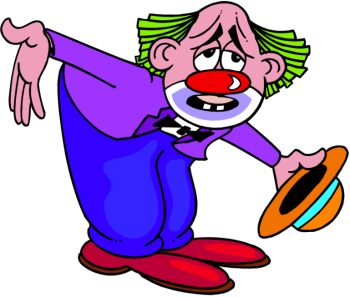 Either way choking or panicking the issues remains similar in that performance degrades completely. Elite athletes may rely on their greater experience and find away to overcome panic and settle in. This is where experience plays a role and why coping behavior is so important. If we remember that practice does not make perfect, that perfect practice makes perfect it is easier to understand what happens during competition. If an athlete panics, the more ingrained perfect practice is, the more likely they rely on that experience. It is why I emphasize the use of guided imagery to enhance the practice competitive experience. If an athlete uses imagery rehearsal and practices stressful situations with positive results, when stressed they will relay on the system that is highly practiced and trained, resulting in a better performance. 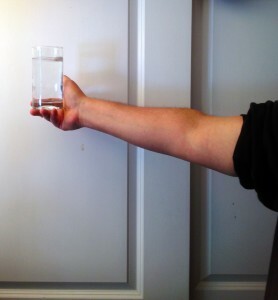 This can be very unconscious as opposed to the more conscious behavior of choking.